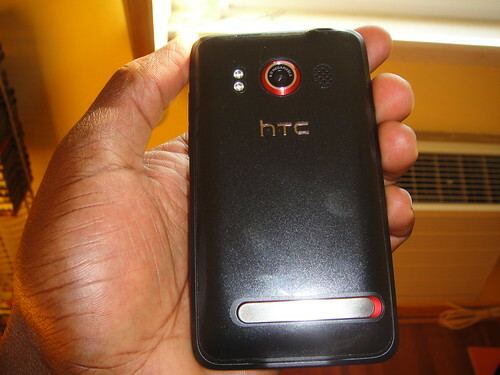 I gotta hand it to HTC. Whether they intended to or not, they created the perfect phone on which to install the Invisible Shield. I got one on Day 1. Still not sure if I want the screen protector or not. I'm not liking the texture/feel of the screen protector. To each his own I guess. I actually have not seen any issues in screen response and my fingers seem to glide across the same as when the phone is naked. Lets see how your phone will be in a few months... I have the invisible shield on my iPod Touch, and Blackberry. After... about a year, corners start to peel off due to dust/lint/anything brushing against the sticky part. I've read stuff on Ghost Armor, I think I'll try it when I get my EVO. Seems to be the same as Zagg Invisible Shield, but has gotten a few better reviews. I don't think I'll use the full Invisible Shield on this phone. I had one on my Pre and like the previous poster, the corners started peeling up and got dirty with dust and lint. The problem is that their designs have too many little tabs and weird cutouts. I am going to go with a simple screen protector on my EVO. That's what I was saying about the install. There are no wierd corners to come up. It was c-a-k-e easy. Did you get a full body shield? Installation on my Pre was a breeze. it was a few months later that the corners started coming up. I ordered the full kit on Memorial Day - haven't been home since Friday, so I'm assuming it's in the mailbox - but I think I'm just going to try the screen part and not mess with the rest because I'm going to get a Body Glove case to protect the rest of it all. I had the full body, but didn't use the back cause the Touchstone back was pretty scratch proof. (for me anyway). The nice thing about a slab phone is that there aren't any corners to deal with. I imagine this one will look nice for a while. My brother-in-law has one on his iPhone... still going strong after 2 years. Front and back for me. They have the little side pieces, but I can't imagine those staying on very well. I really don't think I will use those. I have the screen (front only) from Invisible. Had the Invisible on my Pre before as well. Yeah after a while you will see dust/etc in the corners. The one I am going to go ahead and switch to for the EVO that I have had excellent luck with is the Boxwave crystal clear. They are ready to be shipped starting today according to the website. They are absoluteyly awesome. Almost one year on the Pre and never had any issues. They can be removed cleaned and reapplied. I sometimes will find my self having to be a bit more patient with the Invisible shield due to the screen not responding at first. i had the invisible shield on my iphone and didnt like it a whole lot due to orange peel look and like someone else posted, it started to get dirty and peel at the edges. I tried ghost armor and it seems to be better. I like that it doesnt have that orange peel look and the screen doesnt feel that much different from the screen itself. i pretty much am going to use the ghost armor as a scratch resistant barrier against the case i'll be using. just giving it a few days to fully dry before i put the case on. I have had Invisible Shields forever and have never had the orange peel look. I am pretty picky too. Oh well. Whatever protects your phone. I put the invisible sheild on yesterday. I also got the full kit on memorial day but only installed the screen since I have a PT case that protects the rest. I do not really like the feel and I am now making some "mistakes" opening things when I was just trying to scroll. It is a little better today so maybe it just needs to wear in a little and get my fingers more used to it. The screen still looks good with it on. I am going to give it a few more days and then decide if I am going to leave it on or not. I had a Ghost Armor on it before I even did anything else. It went on incredibly easy, and looked pretty good other than being a little fuzzy, but it's perfectly clear today (the day after). I just did the front/back, and didn't bother with the sides. I got the Zagg for the screen and the Seidio case. Always liked the Invisble Shield. Good for you brother. I purchased a Ghost Armor kit and will NOT put it on. I have heard some horror stories about liquid from Zagg etc getting into the screen after attempting to apply these. I went with the Sprint ones and couldnt be happier. Sticks right on with no liquid. As to the liquid, it is highly evoporative so I wouldn't worry about that. Just don't dunk the thing and it will be fine. Yeah, I'll stick with my boxwave screen protectors. I used invisible shields in the past, but switched and never looked back. Boxwave blows invisible shield out of the water. I recommend the Seidio Ultimate Screen Guard since it uses nothing but static cling to stick to your screen, and it doesn't use any liquids. It can also be removed and reapplied fairly easily. And you can barely notice it's even on. It feels very smooth to the touch. I have it on my Evo, and people that play with my phone don't notice it at all. Sent from my HTC Evo 'cause it WAS the droid I was looking for. On Friday I went to Best Buy and picked up the Zaggs Shield and the Platinum case. The shield looks perfect and the case is great.